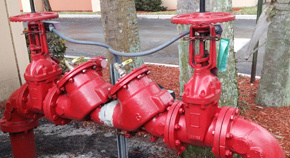 United Water Products serves the needs of both contractors and municipalities with a complete line of UL-listed gate valves, fire hydrants, and other products that meet stringent AWWA standards. 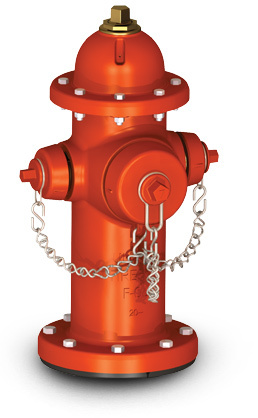 Offering value and reliability, United Water Products' UL/FM hydrants, valves, and indicator posts are a staple in municipal, industrial, and commercial fire protection applications around the world. Questions about our waterworks or fire protection product lines? We have the answers you need. Call or email United Water Products today to speak with one of our knowledgeable associates. Serving customers in the U.S. and internationally, United Water Products specializes in the design, manufacture, and distribution of high-performance valves, hydrants, and pipeline accessories for waterworks and fire protection applications. We offer an expansive UL/FM product line featuring the highest pressure ratings available in the industry today. At United Water Products, we employ state-of-the-art design technology and manufacturing processes to ensure that our products perform flawlessly in a broad variety of public works and private construction projects. Our comprehensive portfolio underscores our longstanding commitment to quality, featuring certifications and listings from noted third-party agencies such as Underwriters Laboratories (UL) and Factory Mutual (FM). 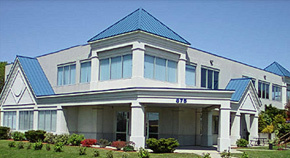 With over 30 years of experience supporting the waterworks and fire protection industries, United Water Products has earned an outstanding reputation among leading firms worldwide. This reputation stems from our competitive costs and responsive service as well as our advanced customization capabilities, which enable us to satisfy the most exacting product specifications. 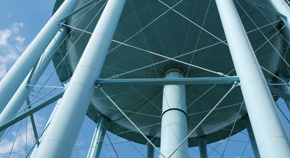 United Water Products' field-proven designs are shipped from three fully stocked, strategically located U.S. facilities, ensuring rapid delivery to destinations across the globe. meet your waterworks and fire protection needs. Call 877-766-4459 or send us an email.